This past week I decided to try the Coco Berry Shea Kids line from Eden Bodyworks. There was a CurlBox Dope Deal, so I decided to order them online. It ended up being cheaper than buying each item separately in the store. I did see them in Sally’s Beauty so I was able to smell them beforehand and they smell so good. A product I would definitely use in a child’s hair (or my own). I started off by washing my hair with the shampoo. Very nice product! It cleanses without stripping. My hair still felt moisturized and not dry and trashy. There is no rinse out or deep conditioner for this line, but there is a leave-in conditioner spray. That’s one thing I wish they had. 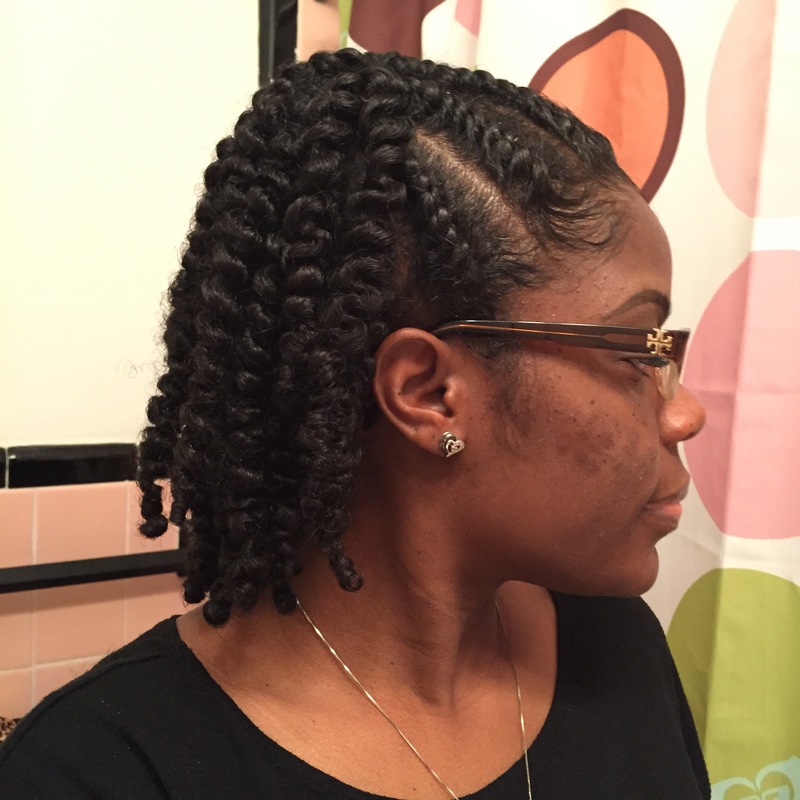 Instead, I used my tried and true Camille Rose Naturals – Coconut a Water Deep Penetrating Conditioner. 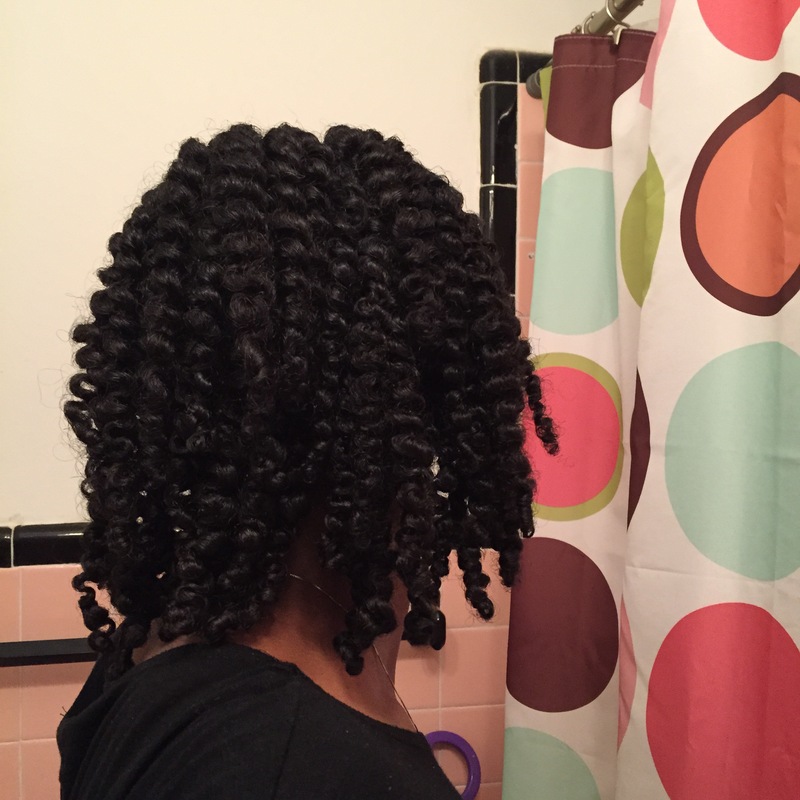 After deep conditioning and rinsing, I sprayed some of the leave in and twisted my hair with the Berry Curly Cream. I used the Berry Natural Smoothing Gel on my roots and also on my edges. 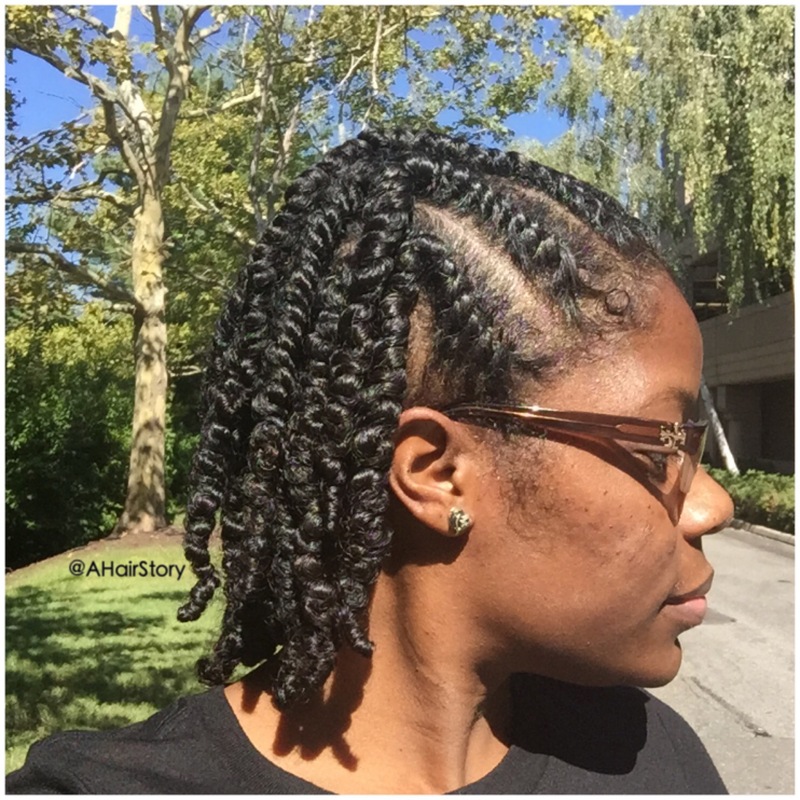 My twists stayed neat all week and at the end of the weak I had a beautiful twistout that was full of definition, shine and it still felt moisturized. I didn’t re-moisturize my hair during the week (I never do). I’d recommend these products and I think they’d work wonderful in children’s hair. They seems very gently but they get the job done. I will also use them again. This is damp hair. 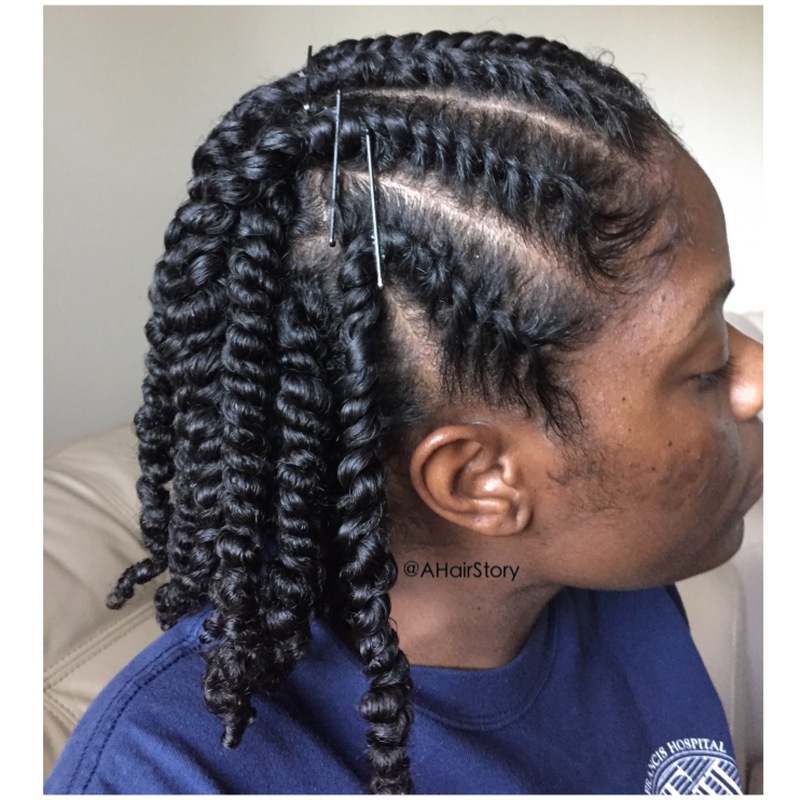 Bobby pins are used to keep the twists from unraveling until it dries in position. This is end of the week hair. 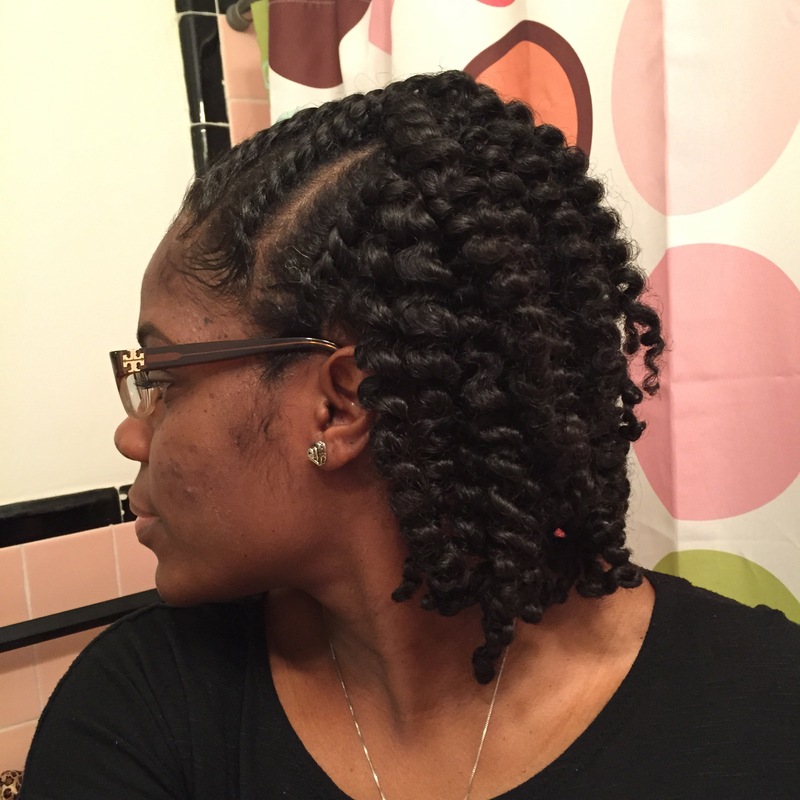 …and here’s my delicious twistout!